Nine’s former revenue chief and group sales and marketing director, Peter Wiltshire, has re-emerged with a new business representing media clients that want a presence in Australia. WeThinkMedia launches this month with foundation client, MediaWorks New Zealand, and will be the exclusive representative for the broadcaster’s TV, radio and digital channels, effective immediately. The agency said it is also in discussions with other local and international media platforms. Wiltshire is a well-known face in the Australian media landscape. 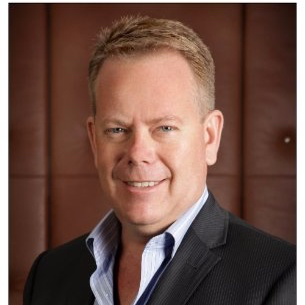 He spent nearly 20 years in the commercial broadcasting space, including stints with Ten and Southern Cross broadcasting, and was most recently chief revenue officer and group sales and marketing director across the Nine Entertainment Company’s media assets. Wiltshire left Nine 12 months ago after a 10-year career with the business, and has been consulting since then to clients including MediaWorks New Zealand and the Medical Channel. His directorship work also includes an advisory board member’s position at online consumer finance advice exchange, simplyaskit.com.au, and automotive and insurance industry tech startup, justsnapit. Alongside Wiltshire, WeThinkMedia has brought on former Southern Cross Austereo head of sales, Jane Stucci, as its overall day-to-day operations chief and head of sales. In the role, Stucci will manage all client-facing work, supported by two sales staff, Gaylene Riminton and Emma Thomas. Wiltshire said he will be providing strategic counsel for the new business while continuing to focus on his consulting and directorship portfolio. MediaWorks chief commercial officer, Glen Kyne, said it was delighted with the chance to work with Peter to launch WeThinkMedia in Australia. “His reputation, depth of experience and knowledge and intimacy with the local market, bring great benefit to MediaWorks in broadening our brand offering in Australia,” he said.